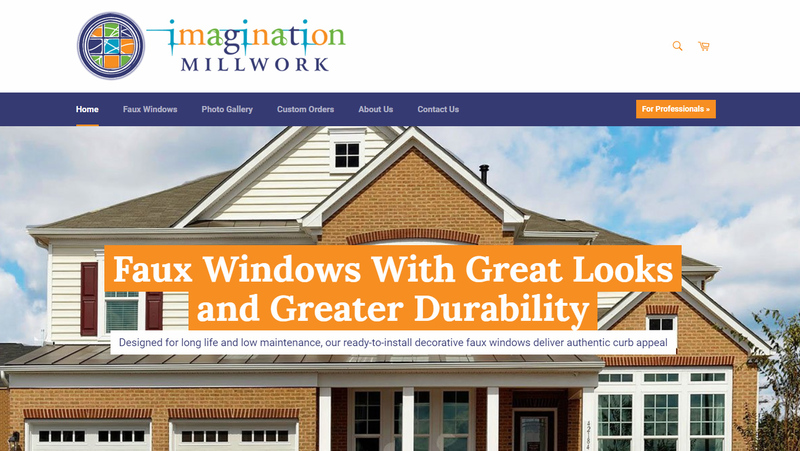 We recently created an ecommerce site for Imagination Millwork, a manufacturer of ready-to-install decorative faux windows. The site enables online sales of exterior faux windows in various shapes and sizes, and includes a photo gallery offering homeowners inspiration on how to spruce up the facade of their home. The site is built on Shopify, one of the world's most popular platforms for ecommerce.